Expert Mobile Car & Commercial Valeting in Bradford. 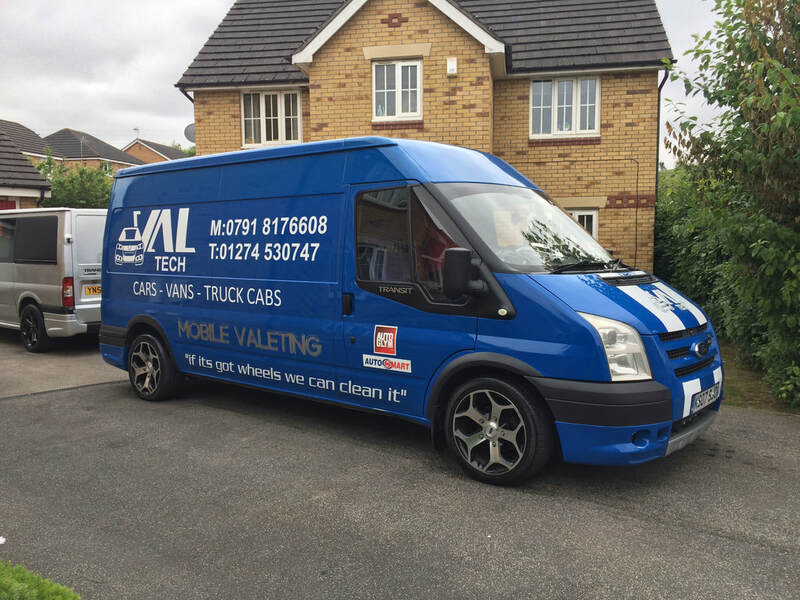 Based in the Wrose district of Bradford, Valtech offer a fully mobile valeting service in Bradford and surrounding areas geared to all types of private and commercial vehicle cleaning. We are well placed to service requirements from across Bradford including Shipley, Baildon, Idle, Eccleshill, Saltaire & Bingley. Mobile valeting services are very cost effective, no need to waste your travel time or cost to a garage or valeting station. We can manage your requirements whilst you are at work or at home with your feet-up. We valet everything from everyday cars and prestige makes, to classic cars and rare collectibles. Our specialist mobile canopy system allows our work to continue irrespective of downpours etc. So if you have an event where your vehicles need to sparkle and the weather is creating a hindrance, call Valtech to brighten up your day. Paul takes great pride on all jobs and takes his time with each vehicle, making sure the job gets done right!